Many tourists who are only remotely acquainted with Eastern Ukraine mistakenly believe that this industrial region lacks natural, historic or cultural riches. But to those who find themselves here, it becomes clear that the region can get even the most demanding travelers to see it in a new light. 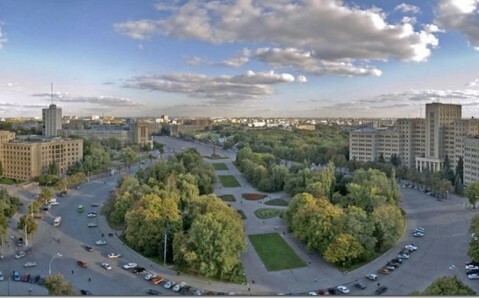 The heart of the region, and the country’s industrial center, is Donetsk. But it is interesting not only because of its manufacturing might. Today, the capital of the Donets Basin is aiming to become the nation’s the sports capital. This goal has been furthered not only through the achievements of its football club 'Shakhtar,’ but also through the privilege it received, along with other Ukrainian cities, of hosting the 2012 EuroCup. 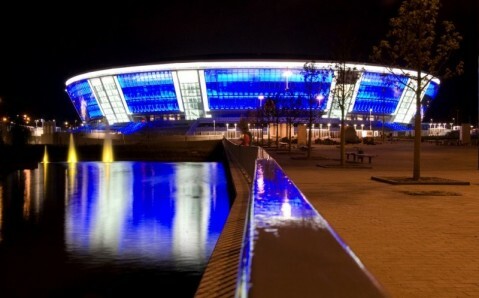 The city’s cutting-edge Donbas Arena is one of the most beautiful in Eastern Europe. It has already been nicknamed ‘the gem of Euro-2012’ by the tournament’s fans and organizers. Beside its handicrafts, the Donetsk'aya Region is rightfully proud of its numerous natural wonders. The most impressive among them are the "Holy Mountains" in Sviatohirsk. Lying on the picturesque banks of Seversky Donets River, this climatic resort is famous for its unique nature and rich cultural heritage. The Sviatohirsk Lavra of the Holy Dormition, one of Ukraine’s most important shrines, stands there. Another of nature's numerous gifts to the Donets Basin are Soledar’s salt-mines. Three hundred meters underground exists a subterranean world with salt caves and ornate labyrinths. When you visit, you will have the opportunity to not only walk on the ancient seafloor, but to also play soccer on the salty field and listen to an orchestra in the acoustically impressive concert hall. Whatever you choose to do, you will be simultaneously improving your health: the salt mine’s unique microclimate will help you to get rid of allergies and respiratory tract diseases, strengthen the nervous system, and rejuvenate! 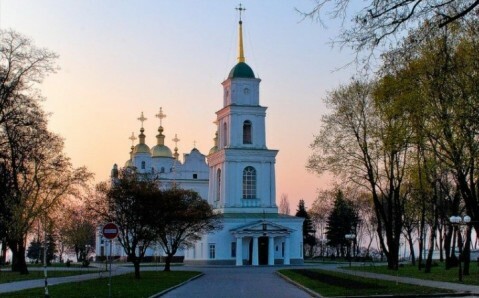 The soul of Eastern Ukraine is its cultural and spiritual center: Poltava. The incredible number of unique landmarks, as well as the amazing nature, makes the city a real magnet for history, architecture and literature aficionados. The city’s heroic past is preserved by the Poltava Battlefield - the only place in Ukraine that is a part of UNESCO’s International Organization of Military-Historical Museums. Poltava’s architectural heritage is also striking. The inimitable Round Square is a remarkable example of Classicism, while the Monastery of the Exaltation of the Cross is considered to be one of the most shining examples of Ukrainian Baroque. An especially charming part of eastern Ukraine are the picturesque settlements surrounding Poltava. They have preserved the life, spirit and romance of the Ukrainian village; one gets the impression that they are the settlements that the great Nikolai Gogol wrote about in his works. 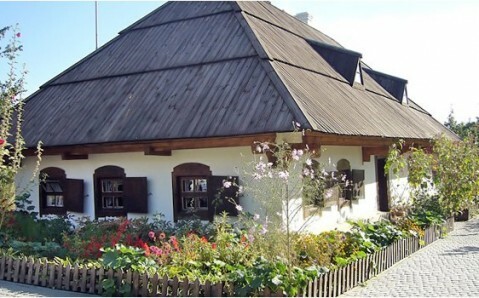 You can follow in the footsteps of Gogol's protagonists by visiting the legendary farm near Dikanka and the most renowned of Ukraine’s fairs, the Velyki Sorochyntsi. Being in eastern Ukraine, you cannot ignore the region’s biggest city, Kharkiv, which is also getting ready to host the 2012 Euro Cup. The most impressive of its sights are the Liberty Square, one of the biggest squares in Europe, and the stern, Soviet-monumental style buildings. 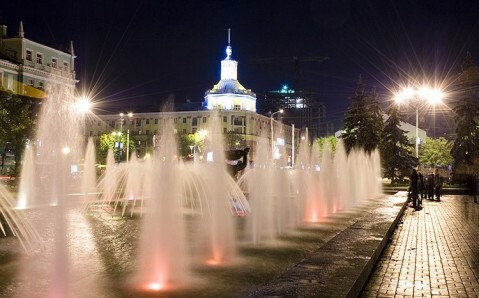 However, Kharkiv region’s the main treasure is the small town Krasnokutsk, which is full of natural and cultural wonders. It is famous for its ancient arboretums, pure lakes and singing terraces. Not far from Krasnokutsk is the village Parhomovka, which holds Ukraine’s sole collection of world-famous artists like Paul Gauguin, Eduard Manet, and others. 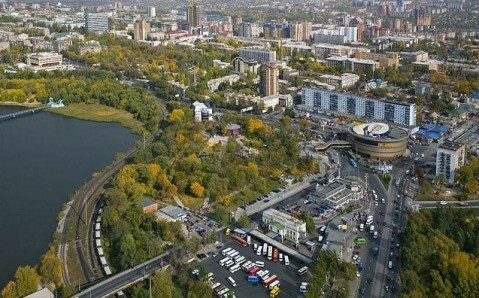 The business center of Eastern Ukraine is the eclectic Dnipropetrovsk . Here, 200 year-old temples stand harmoniously adjacent to modern buildings. Dnipropetrovsk ’s landmarks include the longest boardwalk in Europe and the unique collection of ancient stone sculptures, one of the in the world. Eastern Ukraine is worth visiting – its mysterious atmosphere and numerous cultural riches are sure to shatter the stereotypes about the region’s lack of sights!